Australian National Rugby League player for the Brisbane Broncos and Sydney Roosters. 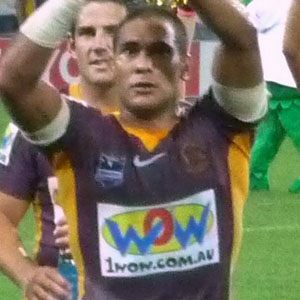 He debuted for the Brisbane Broncos in a 2000 game against the Canberra Raiders. He considered suing Suncorp Stadium for poor upkeep after his knee was badly injured in a game played at the Brisbane venue. His 2004 break up with a girlfriend resulted in his temporary league demotion, as he missed important Sydney Roosters training events to spend time with his family. He later married Gyanne Watson. He was born in the same year as fellow Australian rugby player, Mark Gerrard.